Blue furniture is all the rage right now! That’s because is both trendy, and classic, all in one. Whether you decide to go with light shades of pastel blue, or a bold navy blue tone, you can’t go wrong with blue furniture. Denim shades, muted patterns with faint blue stripes or dots, French script, and navy blue are especially in this season. Many people believe that certain colors evoke different moods, feelings, and behaviors. Blue is often thought to be a positive color related to words like calming, peaceful, and tranquil. Perhaps this is because blue is so common in peaceful nature settings, like a big blue sky, a tropical ocean, or the all-American imagery of bluebells blowing in the breeze. 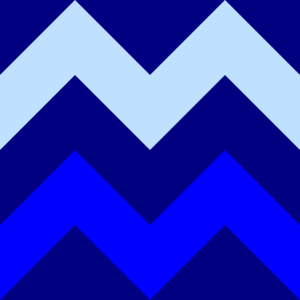 A fun fact is that blue is most common favorite color overall, and is the most common favorite color for men. One thing is for sure: most people like the color blue itself and receive soothing effects from it, despite its folklore. Upon seeing the color blue, it’s has been proven to: lower blood pressure, bring feelings of calmness and serenity, and increase productivity at school and work. When painting your walls, a lighter shade of blue is more relaxing than a dramatic, darker color. Click here for a guide to choosing paint colors. Which Blue Hue is Right For You? A medium or light blue tone offers a monochromatic color scheme with a calm, restful vibe. Click here to learn about monochromatic color schemes. Or, choose a color across the color wheel, like a bold orange. This is a complimentary color scheme. It spruces up mundane or older navy living room pieces. If you’re looking for a plain backdrop to show off your blue living room furniture, choose a muted, understated color for the walls behind it. Think cream, white, or something similar. Check out some of our favorite pieces to fit this blue furniture trend. The stormy blue Nile two piece sectional is perfect for small spaces. The reversible chaise offers versatility for years to come. 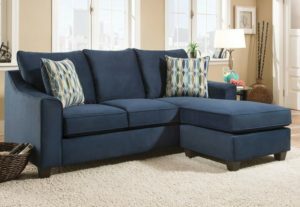 Get this awesome dark blue sectional for just $598! Click here for The Nile. This timeless accent chair is classy, versatile and contemporary. Dark brown espresso legs contrast perfectly. 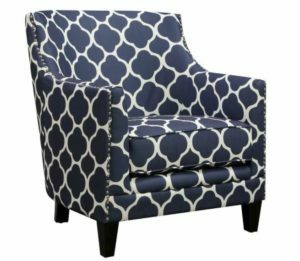 Get this awesome dark blue accent chair for just $198! Click here for The Dinah Patio Marine Accent Chair. We love The Kingston! So much so that we’ve written about this navy blue motion recliner set on the blog before. Click here to read a detailed post about this navy sofa and loveseat living room set. We’ve also featured it on Facebook Live (video below). This distinguished living room set is gorgeous. Upholstered in velvety soft polyester, get the best of both worlds since it’s easy to clean. On trend with both the navy blue furniture look, and nailhead trim, you’ll feel like royalty in the Kingston. Click here to visit The Kingston product page. Click here to read about the hot home trend of nailhead trim. Did you know we do Facebook Live every week? We share products we think you’d love, promotional items, and furniture and mattresses with special features that are best shared visually. To get notified of Facebook Live’s as they happen, just click here to go to the American Freight Facebook and like the page. Then, you won’t miss a deal! All month during May we’re offering huge savings on select blue furniture. Take $200 off the original price of two select sofa and love seat sets. Click here for promotional details. Read on for further details about The Malibu and The Conversation living room packages. The Malibu was featured just yesterday on the blog! Click here to read a Tuesday Teaser post with a “spot the difference” picture puzzle. The Conversation couches will be featured for this week’s Featured Friday. So, stay tuned for more details on that lovely blue living room furniture set here on the blog. Did you love this blog? Are you tired of overpriced design blogs that blow your budget out of the water? 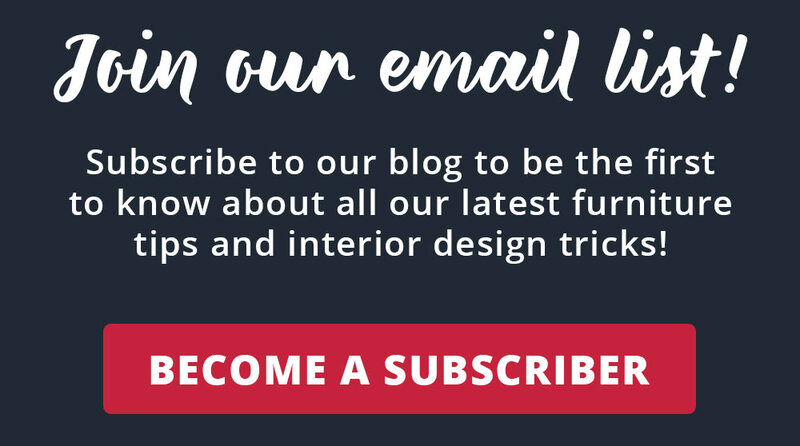 Click here to sign up to receive a weekly blog post so you don’t miss home trends, furniture savings tips, and affordable decorating ideas you can actually use!